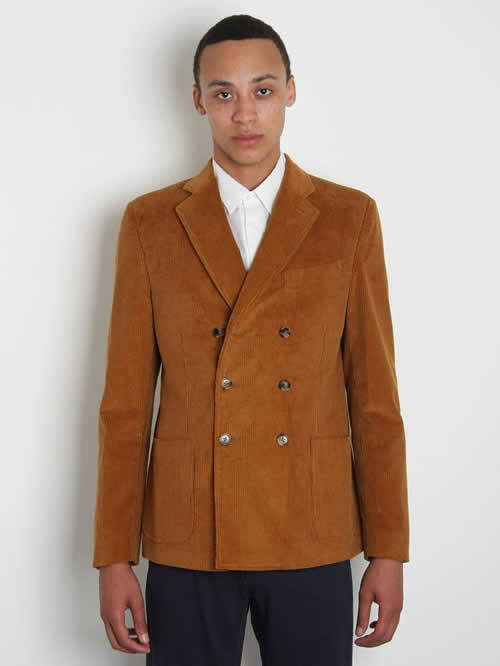 From Band of Outsiders comes this beautiful Italian-made caramel corduroy double-breasted blazer. It follows the classic silhouette while the wide-gauge cord, the elbow pads, mottled brown buttons and grey striped lining give the piece more character. It’s double vented, has a few inside pockets, and is keeping us waiting in suspense for Fall. Available now through Oki-Ni. This entry was posted in Blazers, Tops and tagged Oki Ni. Bookmark the permalink.